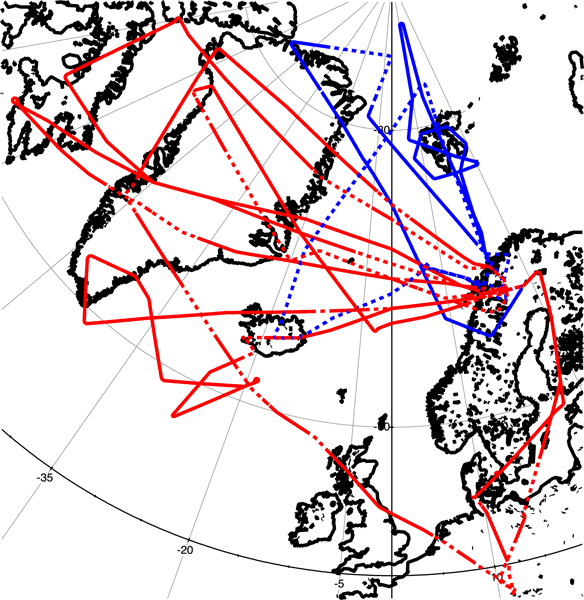 The special issue invites contributions based on the aircraft campaign "The Polar Stratosphere in a Changing Climate (POLSTRACC)" that took place in the Arctic in winter 2015/16 (www.polstracc.kit.edu) but is intended to be open for submissions related to the topic of the polar stratosphere in a changing climate in a broader sense. The 2015–2016 stratospheric winter was the coldest in the 36-year climatological data record. 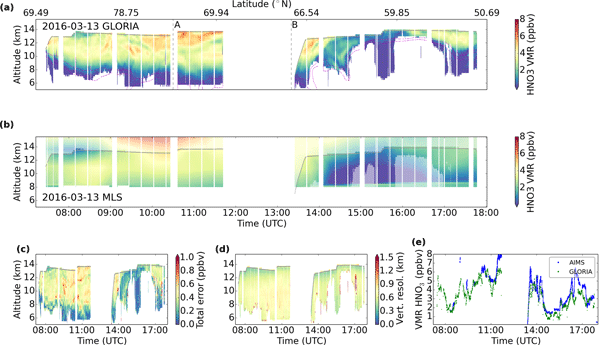 The extreme conditions promoted the formation of persistent Arctic polar stratospheric ice clouds. 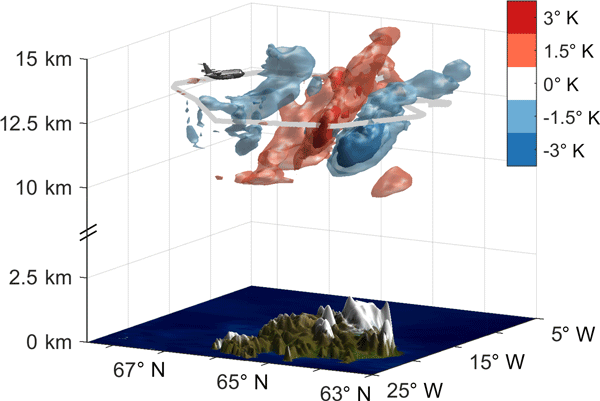 An extended ice PSC detected by airborne lidar in January 2016 shows a second mode with higher particle depolarization ratios. 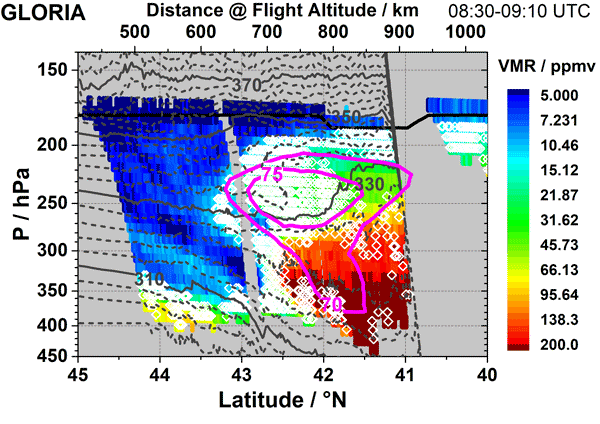 Back-trajectories from the high-depol ice matched to CALIOP PSC curtains provide evidence for ice nucleation on NAT. The novel data consolidate our understanding of PSC formation. 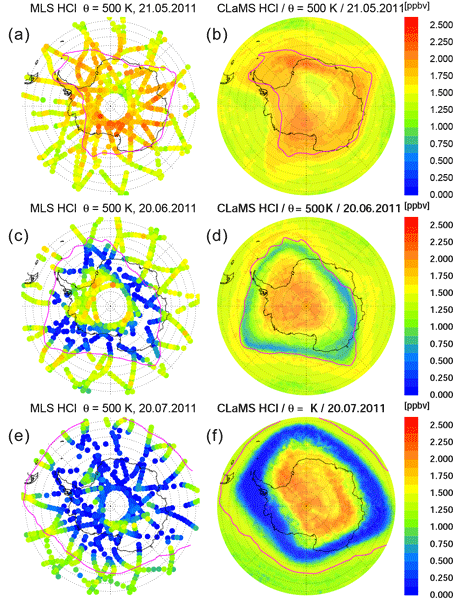 Polar stratospheric clouds (PSC) have major relevance to the processes leading to polar ozone depletion. 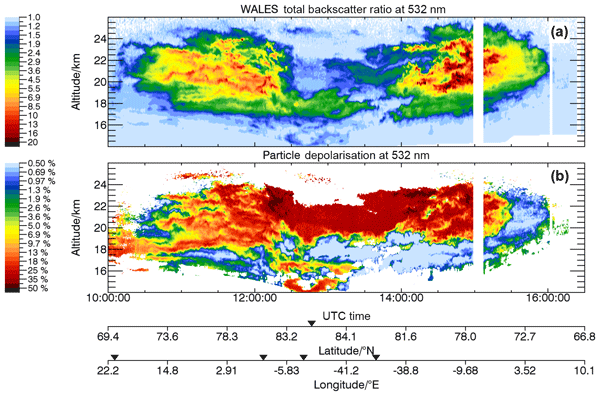 A good understanding of these particles is a prerequisite to predict their role in a changing climate. 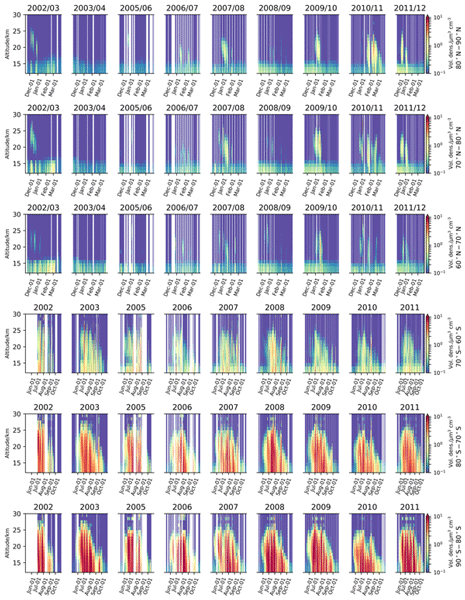 We present the first global set of PSC volume density profiles derived from the MIPAS satellite measurements covering the entire mission period between 2002 and 2012. A comparison to CALIOP lidar measurements is provided. 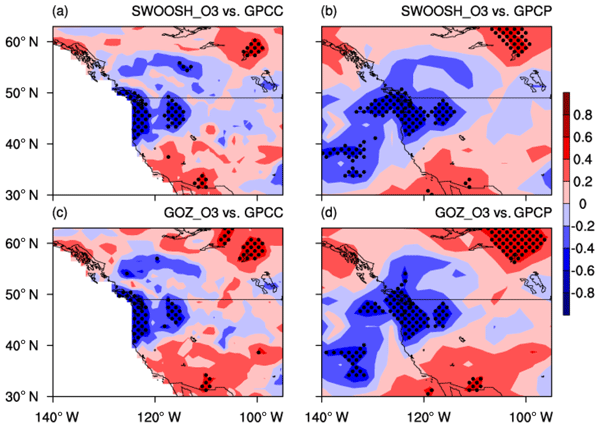 The dataset can serve as a basis for evaluation of atmospheric models.